ATHENS – Hopes that raiding bank accounts, safe deposit boxes and other assets of debtors to the Greek state would reap a whirlwind of money haven’t paid off for the ruling Radical Left SYRIZA’s plans to go after people’s money everywhere it could be found. 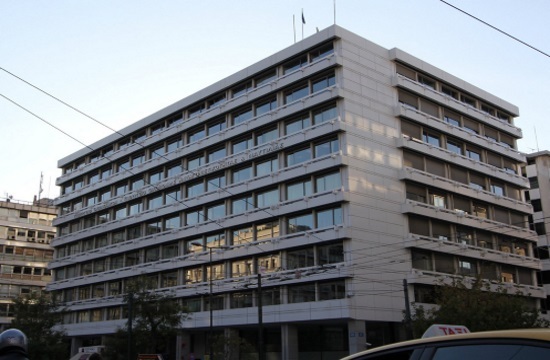 The Independent Authority for Public Revenue in 2017 ordered the confiscation of 1.72 million bank accounts, mainly of people with small debts to the state instead of chasing major debtors and the rich who hide their money in secret foreign bank accounts although Tsipras vowed they would he hunted down. Sources from the authority told Kathimerini the wave of confiscations will grow further in 2018 with the government already plummeting in popularity after reneging on anti-austerity promises and targeting the people they said they would save while crushing the oligarchy and taxing the rich. The problem is that it hasn’t paid off, the figures show, with money found in less than one-third of the accounts, some 582,000 and half of those which weren’t empty had less than 10 euros ($12.27) with people hiding their cash in fear of state seizures. Only two percent had more than 5,000 euros ($6133) as many Greeks with means don’t trust Greek banks or the government and squirrel their money away in places like Switzerland, the United Kingdom, Germany, Luxembourg, the United States and even Australia among other countries. Figures show that the average amount confiscated per account came to 450 euros ($552) in 2017, down from 500 euros ($613.30) in 2016. In total, the tax mechanism removed 260 million euros ($318.92 million) from bank accounts last year. The vast majority of state debtors – some 80 percent – owe up to 2,000 euros ($2453) each to the state, some 1.2 billion euros ($1.47 billion) but can’t pay because of big pay cuts, tax hikes, slashed pensions and worker firings with SYRIZA imposing more of the austerity measures Tsipras swore to reverse before surrendering to international lenders. The other 99 billion euros ($121.43 billion) is owed to the state by one million debtors and is virtually uncollectible as it mostly concerns bankrupt companies, excessive fines of the tax mechanism as well as forfeited collateral. The number of debtors has more than quadrupled in the years of the financial crisis, from one million in 2010 to 4.1 million now, the result of eight years of brutal conditions put on workers, pensioners and the poor while tax cheats, the rich and politicians largely escaped the crisis with impunity.